(compare to) (watch) (television), (I) (prefer, rather) (learn) (Chinese). I would rather study Chinese than watch TV. I would rather do many other things, rather than watch TV. When at the airport, I often would rather play the flute than read a book. I have been told by many people that they are grateful. When I do these things, my mind becomes quiet. If people want to sleep, it is important they feel peace and quiet. when many people are watching TV, I will study Chinese or play the flute, or sometimes perhaps sew or plant vegetables. (ni3) (ning2 ke3) (zuo4) (shen2 me.)? (all of you) (prefer) (do) (what)? ❶ The Chinese word for things as ‘objects’ is different from the word for activities or affairs. The common word 東西 (dong1 xi1) (things) is for objects, but 事情 (shi4 qing2) (matters, affairs, activities) was what I needed here. ❷ Where we would say in English “makes” me feel, the Chinese are more inclined to say “lets” 讓 (rang4) me feel. ❸ Even thought they both begin with the same character, 變成 (bian4 cheng2) and 變得 (bian4 de.) have important differences of connotation. One means a complete change 變成, like a caterpillar into a butterfly. The other means more of a mental state of being. I did not turn into a caterpillar. 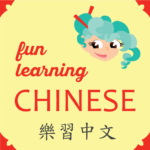 ❹ There are often sounds added in Chinese speech that are not put down in writing. So, if I was asking the last sentence out loud, I would add a 呢 (ne.). This ending indicates that something is being asked that the speaker has already said what they will be doing, but now is wondering what the other person will do.